As you know we like Justin Fletcher A LOT! If Isla catches 'Something Special' on TV at any time then it's quite tricky to drag her away from it. She loves all Justin's silly characters and so this new book 'Justin's Funny Faces Sticker Activity Book' is perfect as she can make up silly characters of her own! Isla was really excited when I showed it to her and I did have to stop her from filling in the whole book in one go. The idea is that there are lots of blank faces and lots of stickers to make the faces come alive. There's a face for a pirate, a snowman face, a princess and so on. The funny thing is though that Isla never wants to make the face as it should be, so we have a snowman that looks like a princess and a monster that looks like a snowman. That's the beauty of it though, you can peel off the stickers from the pages and use them on other faces. Here's some of Isla's funny faces! Isla is 3 and it's perfect for her pre-schooler age group. This book would make a great Christmas Stocking filler as it's quite inexpensive at around £3. While we're touching on the subject of Christmas (i know, i know, we haven't even done Halloween yet! 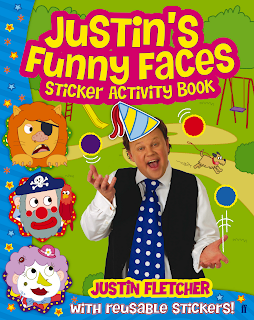 ), there will be a Justin Fletcher Annual coming out soon too that would also be good for little ones stockings. 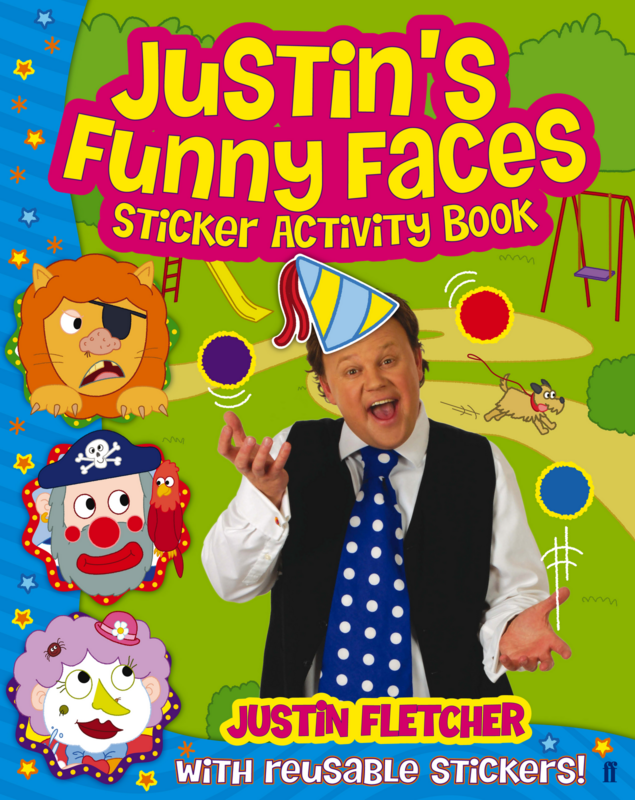 You can pick up Justin's Funny Faces Sticker Activity Book from all good bookshops and from Amazon from the 4th October. We were sent this book free of charge to review all opinions are our own. Tortilla Recipe - Using Up Eggs! Cow And Gate - Super Group - Noah Stars!